Tim Holtz Idea-ology DESIGN RULER Clear 12 Inch TH92481 at Simon Says STAMP! TH92481 /3.2 This item is on reserve until If you would like to reserve this item now, you may purchase it now with the rest of your order. We will hold your order now and ship your entire order as soon as this item is back into stock. If you would like your order to ship now, please place this item on a separate order. 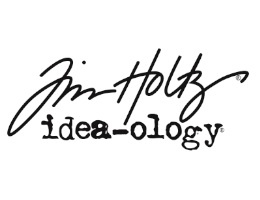 Success, Tim Holtz Idea-ology DESIGN RULER Clear 12 Inch TH92481 has been shared! Tim Holtz has designed this perfect tool! This clear acrylic ruler allows you to see exactly what you're working on. It has a grid background for perfect placement, a center measuring guide, a straight edge for drawing lines, a metal edge for cutting, and evenly spaced holes for piercing - it simply has it all! The ruler measures 12 inches long.